We tip our hats to those who choose filmmaking as their art form. The festival jurors will name an overall award in each category. In addition, we will have a special award selection for Appalachia filmmakers in each category. This year we have 6 awards total! To qualify as an Appalachia filmmaker you must be a native or current resident of the region, or have produced the film largely in Appalachia. Please review our submission guidelines here. 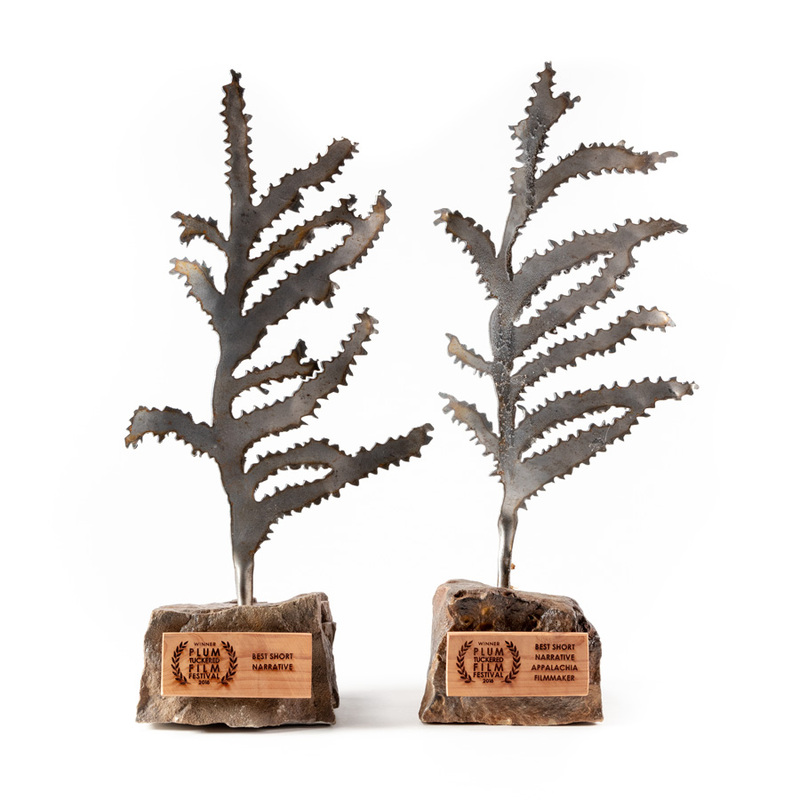 Plum Tuckered awards have always been beautiful hand-made trophies created by Luke Fleishman! He did a spectacular job of capturing an iconic image of our area in metal – The Flagtree. Luke Fleischman chooses steel as his medium for sculptural and hanging pieces. He uses a plasma cutter and mig welder to fashion unique metal art that is suited for the home, office, or garden. His art is often hammered and painted, but natural finishes are used as well. 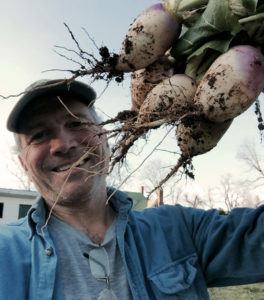 Luke’s studio and shop is located on the farm he shares with his wife Catherine in central Virginia, but, he enjoys painting in their part-time residence in Davis, West Virginia as well. Luke earned a BA in art in psychology at the University of Richmond, and a Masters in Counselor Education at Virginia Commonwealth University. After a 25 year career as a counselor, Luke turned his attention back to his art. Inspired by the indigenous flora and fauna in Virginia and West Virginia, his compilation pieces often depict box turtles, salamanders, honey bees, vegetables, and native plants. Luke is a lifelong outdoor enthusiast, trail runner, skier and horseback rider. He has been a participant in many conservation efforts in Virginia and West Virginia. As a Virginia Master Naturalist volunteer , Center for Rural Culture supporter, and friend of the Deep Run foxhounds, he has done painting workshops and made donations of art. This year’s awards also feature wooden plaques engraved by Stephen Strothers and the Tucker County High School Makerspace. Thank you!